Hy-Vee Grocery | GROCERY STORES | FLORISTS | CATERERS | PHARMACIES - DRUG STORES | BAKERIES - RETAIL - • The Chamber - Lawrence, Kansas. Hy-Vee is known for excellent service and reasonable prices. As an employee-owned company, Hy-Vee encourages each of its more than 82,000 employees to help guide the company. Its 85 years of outstanding success is a testament to those employees’ hard work and dedication to the vision of its founders. Today, Hy-Vee is synonymous with quality, variety, value and superior customer service. Its slogan, ''A Helpful Smile in Every Aisle,'' expresses the foundation of the company’s operating philosophy. Hy-Vee is a touchstone for its customers’ desire for information on diet, nutrition and wellness topics. The company’s commitment to healthy lifestyles is evidenced by ever-growing HealthMarket departments featuring natural and organic products, the consulting services of in-store dietitians and chefs, and consumer and employee wellness programs. Hy-Vee ranks among the top 25 supermarket chains and the top 50 private companies in the United States, and is proud to be a member of the Lawrence business community. Hy-Vee Catering - From formal weddings to casual boxed lunches, Hy-Vee catering can help! 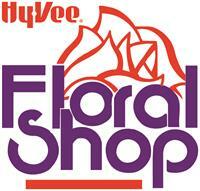 Hy-Vee Aisles Online - Shop online, and we'll deliver your order to your door OR you can pick it up! Health and Wellness Services - Dietetic services from registered dietitians for customers and businesses! Fuel Saver + Perks - Earn fuel discounts when you purchase designated products! An easy way to save! Digital Ads - All of our ads are now available digitally at hy-veedeals.com. Check it out!